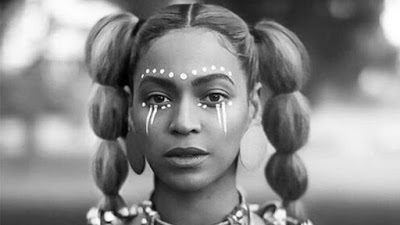 Just in case the visuals for "Sorry" left you wanting to see more, Beyonce' made sure to give you more today by releasing the stand alone video for this banging track. The video features the curvaceous tennis champion Serena Williams, who you can catch twerking something throughout the video. Since this is a hot track at the moment, it was only right to release the full video for the song. During the Lemonade showing, you only got a clip of the video (the Serena portion) but it definitely left fans wanting more. Bey shows scenes of her with a crew full of tribal face painted honeys in what looks like a school bus .... and of course they are all throwing middle fingers up and telling that boy bye. You never know what Beyonce' is going to do, she has the element of surprise down to a science. I have a feeling more videos are coming soon, but in the meantime watch "Sorry" below.